Dee Zee Tool Box - Wheel Well Box. Adds storage while leaving your bed open for hauling cargo. Constructed of strong Brite-Tread aluminum. Lockable lift-up lid on a sturdy piano hinge. Fits 6' and 8' bed pickups. 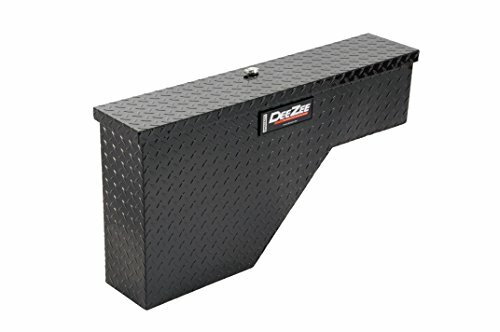 Dee Zee wheel well tool box adds storage while leaving your bed open for hauling cargo. It is constructed of strong Brite-Tread aluminum. Lockable lift-up lid on a sturdy piano hinge. 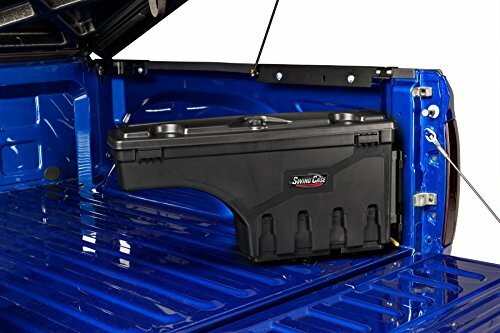 Driver side mounting tool box fits 6 feet and 8 feet bed pickups. Delta White 48 inch Steel Truck Wheel Well Box mount in the unused space around the rear wheel wells. 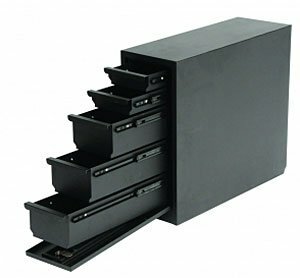 They provide an easy-to-reach, lockable storage space. The reversible lid is easy to change for using a wheel well box on either side of the bed. A key-operated cam-style lock locks the lid tight. 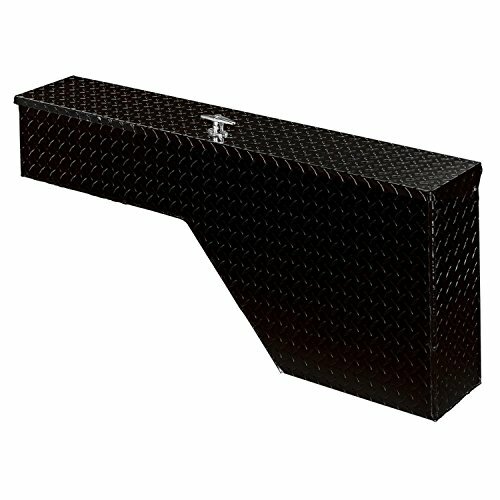 The features include: a rugged steel construction with fully welded seams and formed edges. 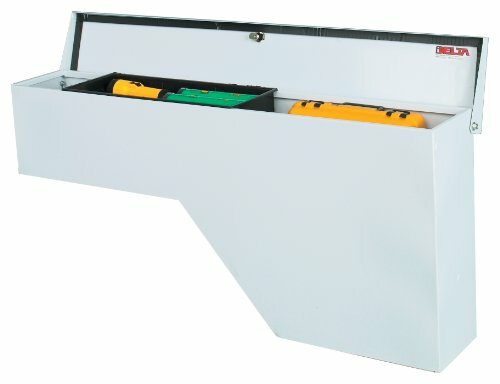 A built-in divider and sliding tray for storing small tools or parts. A reversible lid for mounting on the driver's or passenger's side. The cam-style lock pulls the lid down tight for security. The full weather stripping helps seal out moisture and dust. The tough armor-brite white powder paint finish has superior rust resistance. Dee Zee Tool Box - Wheel Well Box. Adds storage while leaving your bed open for hauling cargo. Constructed of strong Brite-Tread aluminum. Black powder coat finish. Lockable lift-up lid on a sturdy piano hinge. Fits 6' and 8' bed pickups. The DU-HA Humpstor fits in the normally wasted space above the wheel well in pickup truck beds to give you extra storage in your truck bed, while leaving the valuable bed floor space readily available. The DU-HA Humpstor installs easily using included brackets that clamp to the lip of the bed rail. Bracket can be adjusted up or down to your height preference and to fit underneath tonneau covers and roll up covers. 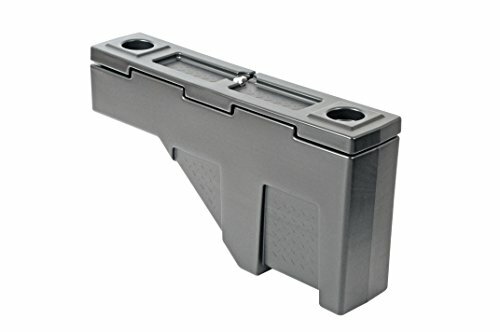 Holds 2 shotguns, or 1 rifle with scope in an upright position. 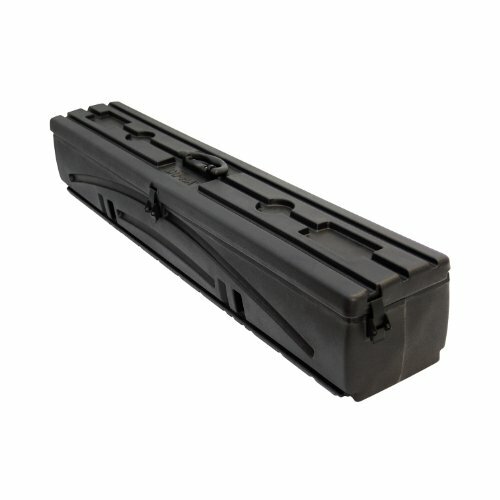 Includes organizer/gun rack set. 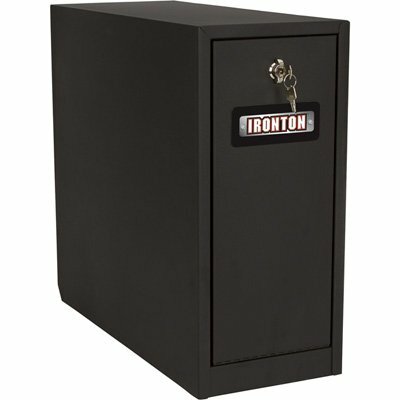 Lockable latches help protect belongings from theft.